Hey welcome to this week’s YATS, everyone. It’s Yet Another Tech Show. 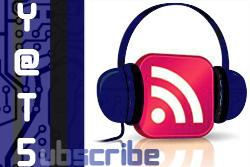 The weekly tech podcast set to bring you informative, but entertaining technology discussions. I’m Ant Pruitt. This week, our corp panel which includes producer Mat Lee, Larry Press and Mike Rothman are joined by guest hosts Richard Hay of Google and Chris Miller of Spike Studio. Thanks to those guys for joining us. Be sure to check out their social connections as well. 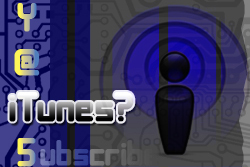 Welcome to episode 60 of our weekly tech show, YATS. Mat Lee here with some show notes for you. Join us, and when I say us I mean myself, Ant Pruitt, Larry Press, and special guest Int Eighty from Dual Core! We talk about the latest tech news including PRISM, the Xbox One and DRM, music and movie industries and cord cutting, new wifi, how to stop killer asteroids, telepresence robots, and so much more. Hangout with us throughout the week on the YATS Google+ community. Thanks for checking out episode 60 of Yet Another Tech Show. This is episode 59 of Yet Another Tech Show. Welcome. I’m Ant Pruitt. As usual, this is the show of tech evangelist looking to bring you informative and entertaining tech discussions. This week our regular panel of Mat Lee, Mike Rothman and Larry Press and I are joined by Chris Miller, Richard Hay and Patrick Jordan. Be sure to click on their names to check out their sites and social connections. Let’s get into this week’s tech goodness!